Amazing Spaces Storage Centers aspires to make your experience the best available! To help you accomplish your tasks, we have complied this list of Amazing service partners. If you find yourself needing additional services, please consider reviewing the following businesses. We carefully review each business to ensure you will experience the same Amazing quality service as you would at Amazing Spaces. SBOA provides low cost insurance coverage for your belongings while in storage. You will sign up for this insurance at the store should you opt to take it. Please contact the Amazing Spaces Storage Center nearest you for more information. PuroClean Mitigation Services is full service water, fire, mold, and bio-hazard mitigation company. Family owned and operated PuroClean Mitigation Services is 24/7 for all your emergencies. Whether it is a hot water heater that explodes ; a small fire in the kitchen to mold in the bathroom PuroClean is here help get life back to normal. Biotech was founded for the purpose of providing quality pest control that is safe, effective, convenient, and affordable. If you choose to forgo the recommended movers listed below, make sure the mover you hire is currently licensed. Check licensing numbers online here. Because our preferred movers vary by store and are all Amazing, we have listed all of our moving partners in alphabetical order. A Better Tripp® Moving & Storage is the Premier Houston mover for executing high quality moving and storage at a fair price. A Better Tripp offers complete Houston and nationwide long distance mover services include packing, crating, and transportation for any size home or residence. A Better Tripp believes in transparency in their services, even offering the same low moving rates seven days a week. All My Sons has the great service and well-rounded knowledge you’d expect from a local moving company with four generations of moving and storage experience. All My Sons employees full-time operators from our community. They offer internal training and development, so you can expect a quality move. All The Right Moves is a full service moving company that provides a premium packing and moving services at a affordable price. We are A+ rated with the BBB and have maintained this since 2004. Visit our website and contact our moving specialists today at info@rightmoveshouston.com, 281-785-9900 or 832-422-MOVE for a free estimate. The professional movers at Atlantic Relocation Systems have the expertise and resources to get the job done right. With highly experienced moving coordinators and specially trained moving teams, we are the moving company you can truly depend on for successful moves of any size and scope. Whether you’re moving down the street or across the globe, our friend Michele at Atlantic Relocation Systems can take care of you. Call Michele today at 936-760-9655. At Blue Ox Moving & Storage, we earn our customer’s business because they trust us to provide them with a stress-free move. We realize that you trust us to not only move your personal belongings, but your memories. With an unfailing focus on your details and needs, we will strive to make your move as pleasant as possible. Visit our website and fill out a quote form or contact our office today at 832-934-2583 for a FREE in-home estimate and we’ll design a custom moving package for your needs! Visit our website at blueoxmoving.com to learn more! Yep, you read that correctly. These hunks do everything: moving, hauling, and lifting everything from furniture to garbage to boxes. Whether you need items tossed or moved, give our friend Dave a call at 281-674-6250 to start your Amazing move or clean up today. In business for 20 years, locally owned and operated, call us for local, state, national moves. We provide the best service in the industry! Call 281-580-2567 or email info@danielmovershouston.com. Firefighting’s Finest Moving & Storage, Inc.
Firefighting’s Finest Moving & Storage is a customer-service focused moving company which is owned and operated primarily by off-duty firefighters and prior military servicemen. We also employ some full-time movers who have been referred to us by people that we know and trust. We are a full-service packing and moving company, offering local and long-distance moves. Please call Rick today to schedule your move at 281-353-1960 or visit us online at www.firefightermovers.com. Johnny T. Melia is a full service moving company not obligated to local moves only, but are also equipped to handle and service intrastate, interstate, and international moves for residential and/or commercial customers. Johnnie T. Melia Moving & Storage started in 1969 as a “one truck” furniture delivery service. Over a period of 48 years, our clientele has grown tremendously through customer referrals and interior decorators for whom we provide services. Call 713-683-8585 today! Jonah’s Movers is a family owned and operated moving company that, instead of focusing on fast growth, and making as much money as possible, they’ve taken their time to form a tightly knit team of well-trained, hardworking, respectful movers. They’ve been serving in Conroe, The Woodlands, Spring, Houston, Montgomery, and many more Texan cities for three years, and would love to serve you next!! Give them a call today at 832-728-6675! Family owned and operated, Max Movers has more than 31 years of experience offering our customers the best quality moving services including both packing and unpacking services. We are one of the largest independent movers in Houston using only full time employees. 95% of our customers are by referral – And you can’t beat that! Pack n Send, Inc. is a full service Houston packing, crating, and shipping operation in business since 1981. We specialize in shipping fragile, valuable, and unusual items for individuals and businesses as well as packaging or crating items safely before shipment. Call Sue at 713-266-1450. Free Estimates, Residential & Commercial Moves, and Load and Unload Services. 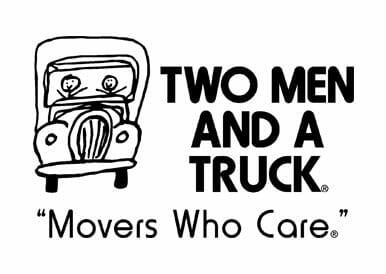 If you’re looking for a North Houston, Spring, or The Woodlands area mover, give a call at 281.968.2176 to our friends over at Two Men and a Truck – Montgomery. They were voted Best of The Woodlands and will make sure your items are moved in an Amazing manner. Free Estimates, Residential & Commercial Moves, and Load and Unload Services. If you’re looking for a Northwest Houston area mover, contact our friend Caroline at 281-606-0473 to reserve these excellent movers. Woodlands Moving & Delivery Co. is a residential and commercial moving and storage company established in The Woodlands, TX since 2002. We put a lot of passion and dedication serving our valued customers and we truly enjoy being a family owned business in our community. Whether you choose to move itemized or hourly, the experts at The Woodlands Moving and Storage will utilize their knowledge to make your move easier on you! Prévu is a concierge service for residential clients dedicated to lifting your next personal move light years beyond all previous moving experiences. From preparing for your move through putting the final fluff in your pillows, we do it all. You just need to walk in the door and enjoy your new home! Schedule services with Prévu today by calling 281-205-7956. Want to live your life, not your move? With move coordination from Space & Serenity, you will Move-Out with Sanity and Settle-In with Serenity. Your custom package will match your timing, availability, and budget. Services include decluttering, packing prep, managing movers, and unpacking and organizing your new home. Call Tiffany Mensing at 832.899.5135 to schedule your complimentary consultation today! The team at A Time and Place for Everything, LLC is here to assist you with all your relocation needs offering á la carte moving services to being there for you during your move every step of the way. We are able to help you maximize your time with your movers before they arrive, and will help you unpack and organize your new home, after your move. Services include: pre-sorting and purging, floor plan and layout assistance, organizing and labeling, Move Coordinator, unpacking. Corporate Housing Associates LP/Woodlands Interim Housing provides temporary accommodations with all the comforts of home! Every apartment home in our portfolio is tastefully furnished and fully equipped with supplies, for the everyday needs and comfort of our clients. Features of some of our properties include resort-style swimming pools, state-of-the-art fitness centers, nearby shopping, hike and bike trails, specialty restaurants, tennis, golf and more! TheMIGroup’s international moving services are second to none. They handle over 17,000 relocations annually and are a quality leader in the industry for consumers and corporations. TheMIGroup can handle a move to or from anywhere in the world under the guidance of our highly trained relocation managers. For any business need that you may encounter, Amazing Spaces highly recommend checking out your local chamber of commerce to find your specialized service. Amazing Spaces is proud to be a member of four chambers in the Houston area. Contact any one of our store team members for more information about our preferred partners!